Ambition and selfishness run in the blood of every human being. It drives us to succeed, to try and get rich, to stand out among our peers and show ourselves as better. For some, that means a life time of study, hard work and a desire to succeed. But for this little group, it means breaking into the most secured banks of Chicago and making off with the money stashed inside. Do you have what it takes to join this elite group of robbers and thieves? If so, get ready to return to the 1950’s for the biggest job yet, and hope you survive to tell the tale. Makitone Gaming’s Mob Heist, also known as Gang Job, certainly has a unique setting, with the reels themselves being used to hide an elevator leading up to the gang’s hideout. The game came out in 2018, but despite that, it rather clearly lags behind some of the more well-known developers. To credit the developers, there is nothing inherently bad. Everything looks clean and crisp, and we quite like the theme this whole slot has going for it. That said, the animations look goofy, and not in a good way. The music has a bad habit of looping quickly, and the background is rather dull and rusted. We like the ‘reveal’ when you are shown the hideout, but we think Makitone should have polished the visuals a bit more. We were not able to find any information on this game’s variance anywhere. 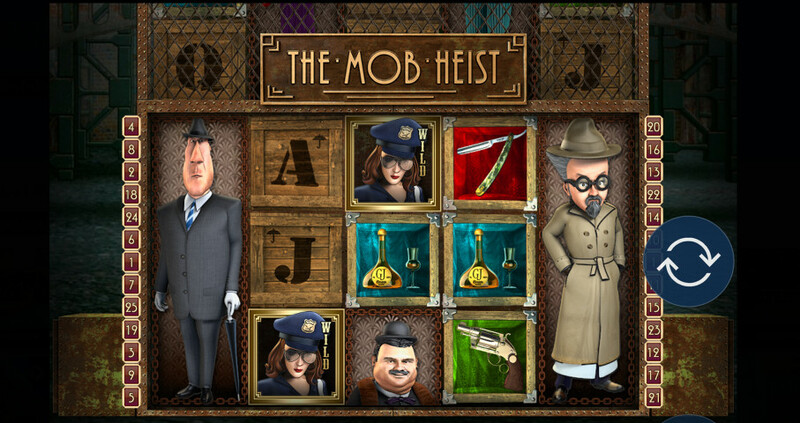 Mob Heist is played on a 5×3 playing field with 25 fixed paylines, which means players cannot turn some or all paylines off in order to lower their minimum bet. The developers have not released any information on Mob Heist’s RTP, so we cannot tell you what sort of returns you can expect playing it. 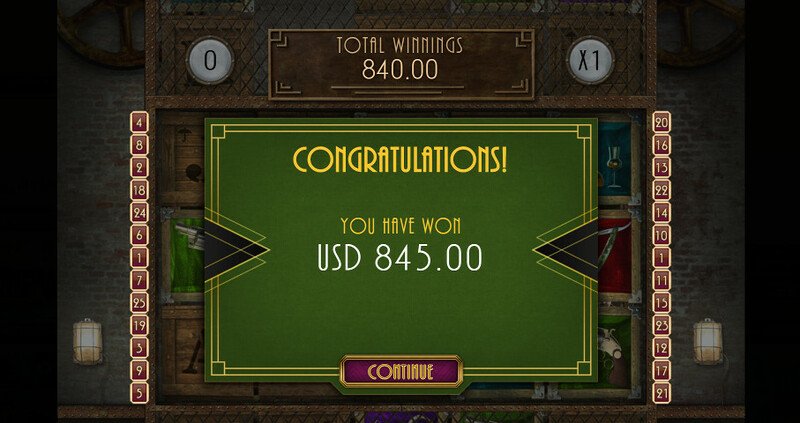 You can change your line bet and coin size, and that allows you to set your wager between $0.25 up to $250 per spin. There is a bare-bones Autoplay option, so gamblers can set between 10 to 100 auto spins to be played, with the option to end them early if needed. 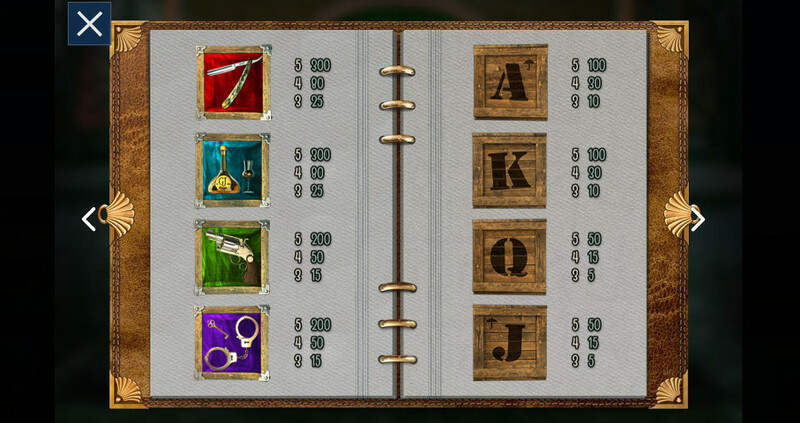 Payouts for all symbols are awarded when you collect three or more of the same icon from left to right following one of the twenty-five active paylines. The highest paying symbol is the police-woman Wild, followed by a hatchet, an expensive wine, a small handgun, a pair of handcuffs, and playing card icons A, K, Q, and J as the lowest paying icons, disguised as boxes. 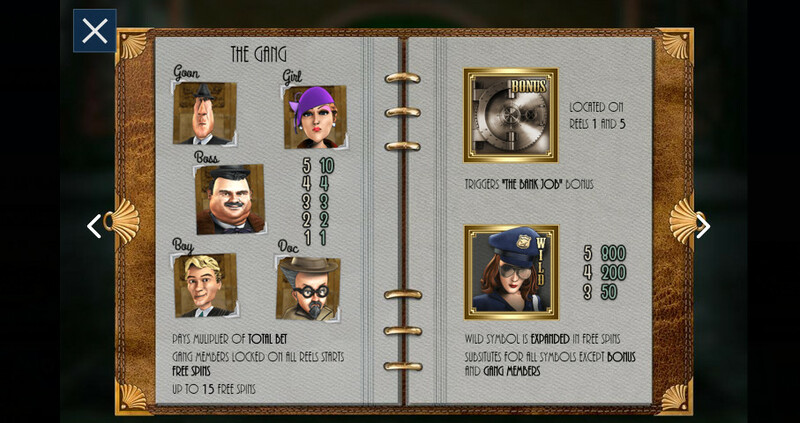 The five mobsters also have their own cash prizes, but those are worth very little. The bank job bonus symbol has no pays. The gang members provide a small cash prize, but their main goal is to trigger the free spins bonus. To that end, gang members can be nudged back onto the reels if one of them is fully displayed on the reels. 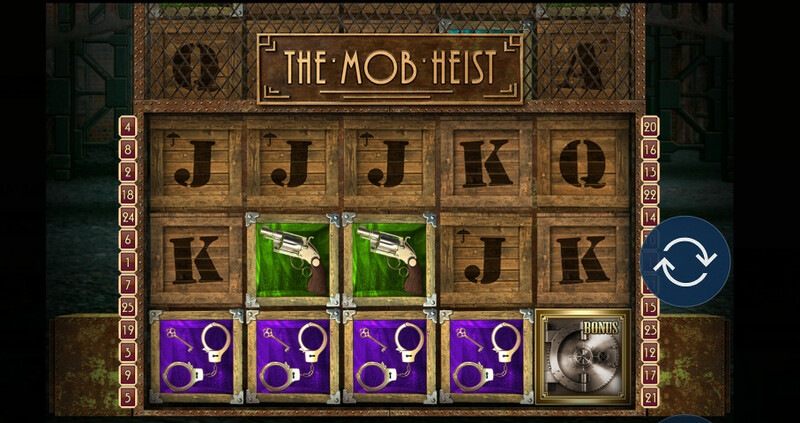 If all five gang members are fully visible on the playing field, you win fifteen free spins. For the duration of free spins, the police-officer Wild expands to cover the entire reel, increasing your chances of winning big. 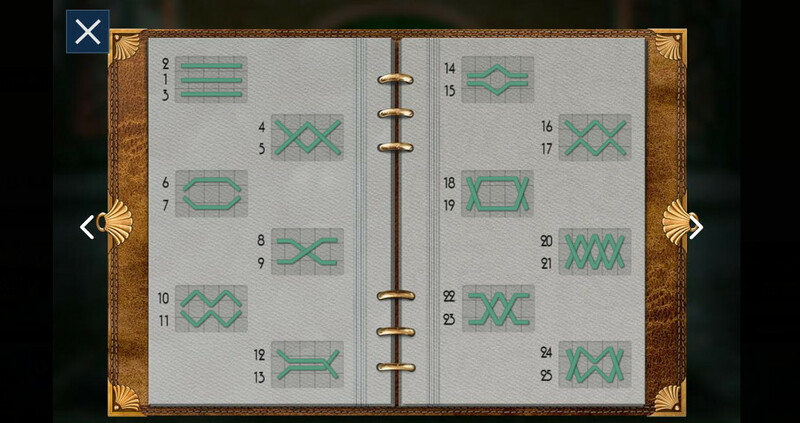 Collecting the Bonus safe icon on the first and fifth reel activates the Bank Job bonus. You are taken to a safe, and your job is to plant the dynamite to blow it up. Once there, you can choose to take your cash prize, or try another bank.